Prevent losses from Automated Clearing House (ACH) transactions in real-time. Our comprehensive omnichannel solution works seamlessly across any network. Learn more today. With businesses and government increasingly using ACH online for consumer point-of-purchase payments instead of credit or debit cards, a new opportunity for fraud has emerged. Since ACH fraud is very easy to execute and a 60-day transaction window gives fraudsters so much time to act, financial institutions need upfront protection. TrueACH® uses the TrueChecks® Batch platform to run each account number and routing number through the Advanced Fraud Solutions negative check database (NCLAD) to detect any known issues: account closure, fraudulent activity, NSF standing, etc. AFS also employs next level protection with functionality enabled by GIACT’s gIDENTIFY database. The account holder name is run through this powerful product stack to confirm customer and business identity and verify that the account is open and active. GIACT gIDENTIFY uses multiple data sources to confirm account holder and business identities so you can address your Know Your Customer (KYC) compliance, underwriting, and risk management needs. gIDENTIFY uses the most current data, evaluating over 100,000 attributes in a single lookup that provides detailed, thorough identity verification for consumers and businesses. Interested in learning more about lowering your ACH transaction risk? Consider TrueACH® with gIDENTIFY today. 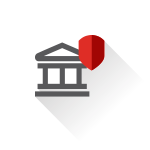 Let us show you how TrueACH® can protect your institution from ACH transaction fraud.